Serger Scrap Caddy Pretty and functional, your personal scrap caddy is designed to catch serger cast-offs and keep the most needed tools close at hand. 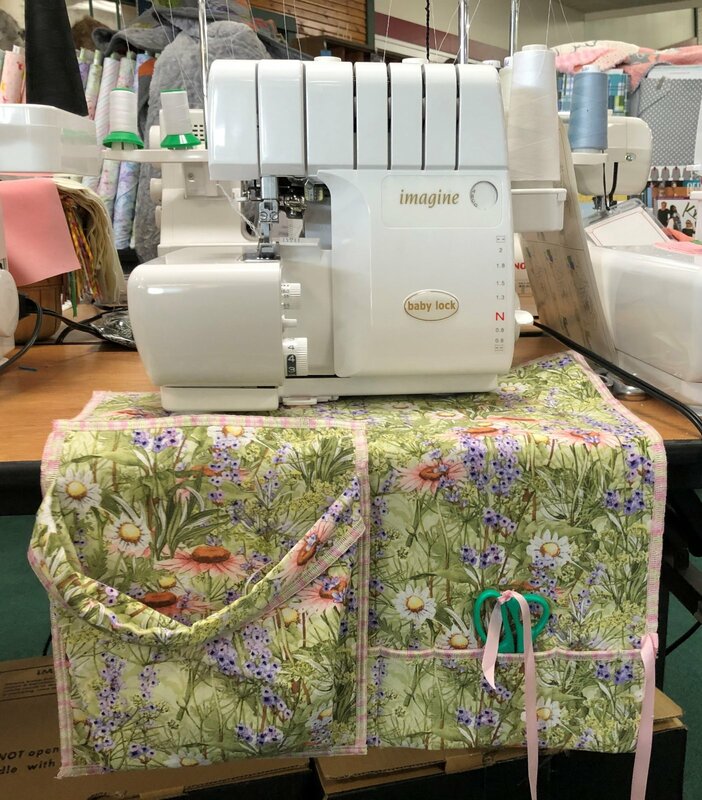 Made entirely from cotton fashion fabric interfaced with a weighty woven fusible, the base sits securely underneath your serger or sewing machine The removable scrap-catcher bag attaches to the base with hook and loop tape and its top edge has a piece of boning inside to keep it open and prevent sagging. Five pockets of various widths are created to the right of the bag and one has an attached length of ribbon to keep those scissors where you need them. There is some precutting required for this class. Don't wait until the day of. The class size is 6. Register now. Bring your machine, pre cut your fabric, bring your tools.